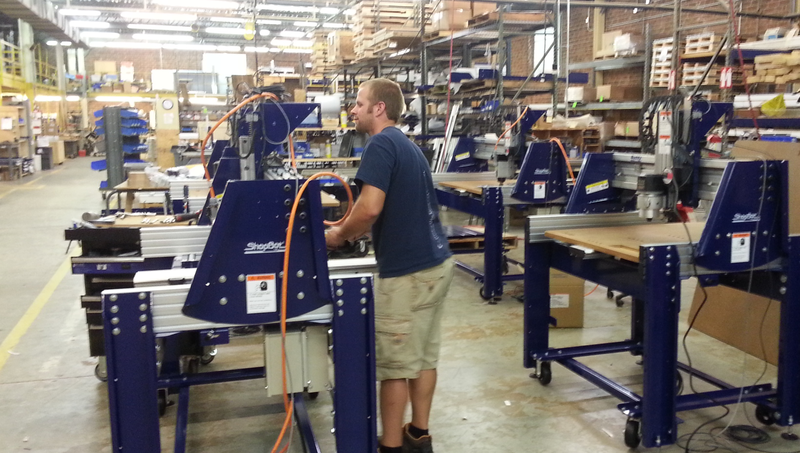 As a small manufacturer in Durham, NC, I’ve seen the stagnation of manufacturing and the job crisis up close. Jobs matter here and elsewhere. Yet, as anyone who has walked the downtown streets of rust-belt towns knows, returning manufacturing to our communities has an important value beyond that of creating jobs. We’ve learned from the loss of entire industries to the practice of offshoring about the importance of being producers, the importance of participating in the full industrial cycle — from invention to design to manufacture. We’ve learned that the very atmosphere of community vitality — the excitement of innovation, creativity, and scientific advance — are closely linked to the engines of production. To be competitive, perhaps even to be viable in the long run, we need to innovate. And, to innovate, we need to be making things ourselves. We have encouraged an attraction to payoffs for scaling products to high-volume and off-shore production, even though it distracts entrepreneurs from initiatives designed to offer new economic opportunities in our communities. The outsourcing of mass-production has become emblematic of success for a manufacturing entrepreneur. Many of our institutions make heroes of those who scale to off-shored success. Venture capital PR, media hype, and government stimulus programs have helped spread a message that entrepreneurs should be valued for their visions of “high-impact products”, high-impact being little more than investor-speak for “high potential return”. We have created a counter-productive choice for our would-be manufacturing heroes that now hampers re-energizing local manufacturing. Affordable digital and robotic technologies for production are making small- and medium-scale manufacturing realistically competitive again. An enthusiastic case for a renewed manufacturing around these digital fabrication technologies has been called the “new industrial revolution” — by which small, digital-technology-based-businesses are seen as a possible core for a new manufacturing economy. Less than half as many Americans are working in manufacturing today as in 1960. It is increasingly appreciated that this shift is due at least as much to technology and productivity efficiency as it is to offshoring. So it is unreasonable to expect that we’ll ever again have a large middle class supported exclusively by manufacturing jobs. More realistically, what we can hope for is some attractive new jobs in technology-based manufacturing — while we also re-embrace the importance of doing value-creating, innovation-spurring, production in our communities. New technologies and our renewed engagement in DIY-making mean that there is an opportunity for re-invigorating manufacturing in our communities. Being productive does not need to be only about profit. Hands-on work that is rewarding, fulfilling, sustaining, and a source of value … that’s the spirit that we share with the makers and community blacksmiths of our history. Yet, the re-establishment of production in our communities is not inevitable. If we hope for it to re-emerge, we will need to be supportive of it. We will need to cultivate new manufacturing heroes. This is an abbreviated version of the first in a series of articles on our manufacturing future and new fabrication technologies. Please see Full Article. Ted Hall is the founder and CEO of ShopBot Tools, Inc.